Divorce can be as confusing as it is emotionally charged. Clients seeking advice often ask similar questions. 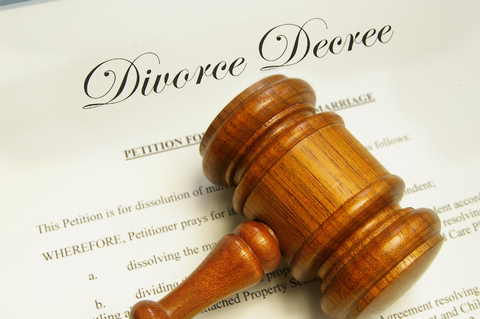 On this page, we have compiled some of the most common divorce-related questions. What can I do to help ensure that the family court rules in my favor? Help your attorney help you. In other words, follow your attorney’s advice. An effective attorney will work to form effective legal strategies on your behalf. Additionally, never enter legal agreements or sign binding documents before consulting your attorney. An attorney will advise you throughout the divorce process, and they can effectively protect your interests in court if fair negotiations are not possible. What can I do to keep things civil between me and my spouse? 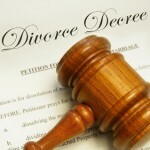 Going through a divorce is difficult for all parties involved. It’s in your best interest to treat your spouse with courtesy through all stages of your divorce. If interactions between you and your spouse become heated, walk away. If conflict seems inevitable, simply tell your spouse you need all communication to be between attorneys. My spouse wants me to do something that conflicts with my attorney’s advice. What should I do? First, during the divorce process, it’s best to err on the side of caution and approach negotiations with some skepticism. Your spouse may resent your lawyer, and may even attempt to undermine your attorney’s influence. Keep in mind you are paying your attorney to look out for your best interests. A good attorney will let you know you whether your spouse’s suggestions will help to meet your legal goals. My spouse is asking me about the meetings that I’m having with my attorney. How much should I tell him or her? When going through a divorce, it’s best to let your attorney handle the flow of information and communication, in order to protect your interests. If your spouse is requesting case-related information from you, politely inform him or her you’re not willing to discuss legal matters without your attorney present. I have kids. How much should I tell them about my divorce case? Simply put, you should not discuss your divorce case with your children. Never, under any circumstances, should you use them as messengers; not only will this hurt your case, it has the potential to cause lasting damage to your children and to your relationship with them. Further, you should never speak poorly of your spouse to your children; your children get half their DNA from your spouse. When you criticize your spouse, you are criticizing that part of your children. Often, it’s a good idea to obtain family counseling to help your children successfully deal with your divorce and the changing family dynamic. To set up a meeting with Bonnie, please call today at 775-323-2000 or click the link to fill out the Consultation Request Form.